blog.SOAL.org – None of this is true. The rest is. There are about 70 total solar eclipses per century, but each one is visible only from a narrow stretch of the Earth, and only for a few minutes. Therefore, being in the right place at the right time under suitable viewing conditions to experience full totality qualifies as a once-in-a-lifetime event. I travelled from Sydney up to Palm Cove (a beach resort just north of Cairns) to see the total solar eclipse of 14th November 2012. Here’s what happened. Arrive in Palm Cove on 13th Nov. The eclipse will take place tomorrow morning. Sunrise will be at 5:34am and the partial eclipse will start at 5:45am, shifting to totality at 6:39am until 6:41am. Then, there will be a second period of partial eclipse as the moon’s shadow drifts away, ending at 7:41am. For now, the weather oscillates threateningly between sunshine and deep, dark cloud cover. 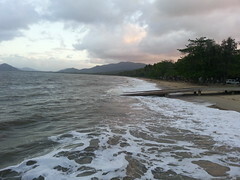 Palm Cove, the day before the eclipse. 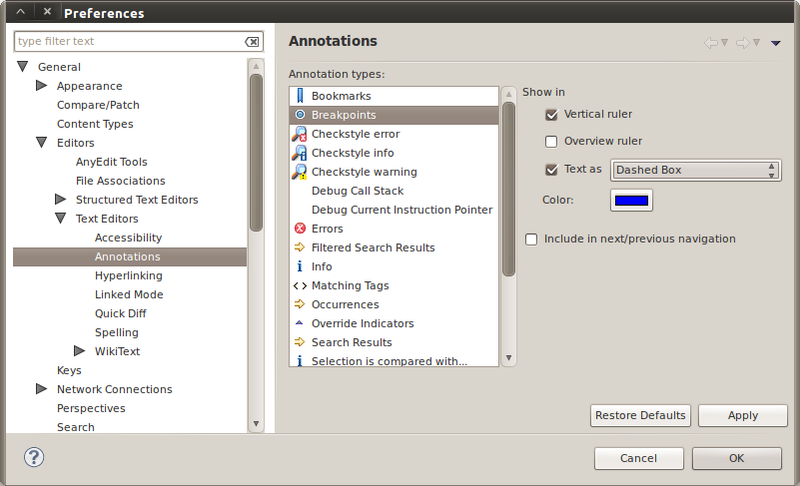 In Eclipse, breakpoint icons tend to get obscured by other notification icons, like override or quick-fix notifications. The workaround, as described in this bug comment, is to configure the breakpoint annotation type with additional display properties. Not the prettiest solution, but at least that’s one less mild annoyance to deal with. I confess I rant about Ant a fair bit, but in truth Ant tasks provide a lot of useful functionality. Even if you don’t use Ant directly, you can still take advantage of the tasks by using, say, Groovy’s AntBuilder.